In this article, I'm going to show you how you can use value converter in XAML to convert one format of data into another format. In our case, we'll convert a string value (value in the textbox) to a Boolean value (checked status of a checkbox). 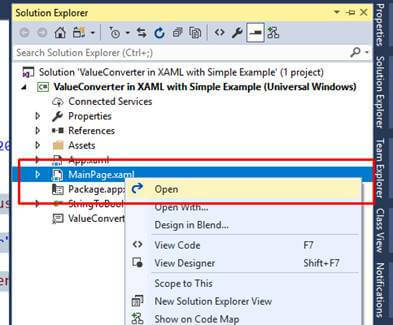 In this article, I'm going to show you how you can use value converter in XAML to convert one format of data into another format. In our case, we'll convert a string value (value in textbox) to a Boolean value (checked status of a checkbox). How to perform value conversion? 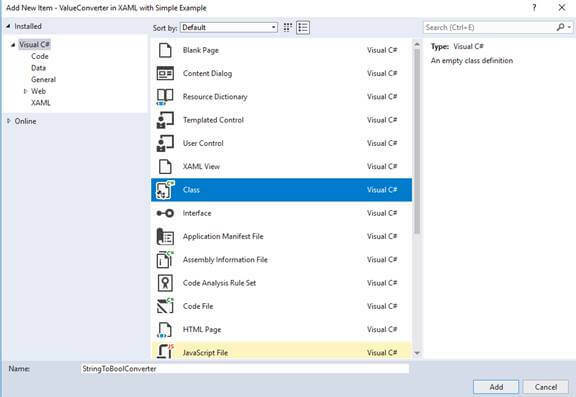 Perform value conversion using built-in .NET Classes. Getting started with a Simple Example. Let's discuss each one by one. Value Converters are the classes that are used to convert one form of data into another. There are certain case studies when we need to convert the data from one format to another format in software development, especially in application development. We can write our custom code to convert the data from one form to another but it will be time taking and will increase the complexity. So, we'll use built-in .NET classes. Let's get started with a simple example. Suppose we have a control as textbox and another control as Checkbox. We want to check the checkbox whenever the user writes "Checked" into the textbox. Like this. And when a user writes something else, this checkbox will be unchecked like this. In this process, indirectly, we are converting a string value to a relevant Boolean value. As this is not possible directly, we'll use IValueConverter Interface and implement that in a user-defined class. That class will be used as a local resource in XAML code. To learn about a local resource, you can go through this article. Our control Binding property will consume this local resource. 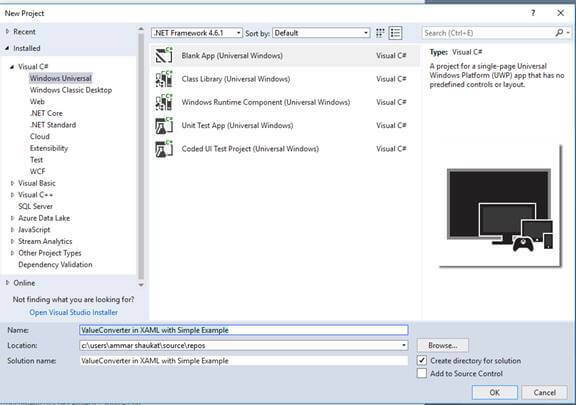 Create a new UWP Empty Project. Now, add a new class with the name "" to project. Now, click class option and write the name of class. This is the class you just added. Now, inherit this class with IValueConverter. Note - You need to use Windows.UI.Xaml.Data namespace in order to use that interface. Now, inherit the class with interface. See the updated class now. Now, we have to write the definition of these two methods. But before that, we must understand what we are going to do in both the methods. Convert() method takes data from Control; in our case, it will take string data from the textbox. And, we'll write custom code to convert that string into Bool value. See the method definition. Now, we are going to place controls using XAML code. 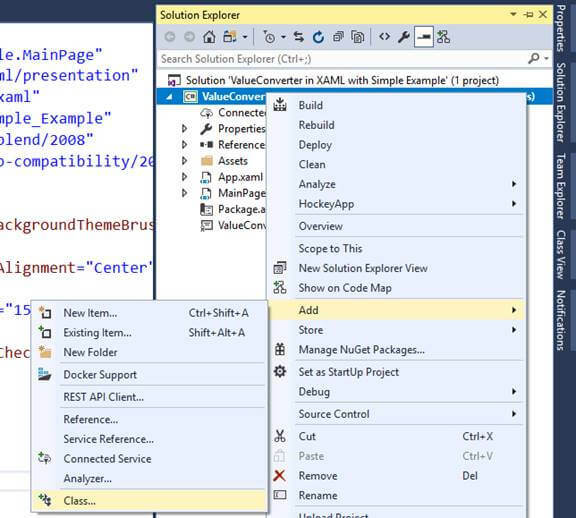 Open MainPage.xaml from Solution Explorer. You'll get a blank grid like this. Place a textbox and a checkbox into the Grid. Use the following XAML code for this. After adding up the UI, we are supposed to add local resources. In this project, the local resource is a converter class that we added recently to our project. 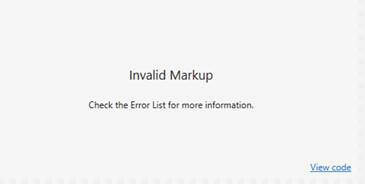 Now, we are supposed to provide a reference for that class to the XAML Code. So, add the following resource before the opening of Grid Tag in MainPage.xaml, as shown in below picture. Don't forget to build your project, otherwise you'll see an exception in designer like this. Our project setup and resources are ready. Next step is to bind the IsChecked property of Checkbox with the string of the textbox. We've already written code for that. Now, we just have to mention that code in binding like the following way. Here is the code for you to copy from. Now, run the project and type some word in textbox. In my case, it is working fine. If you have any problems, please notify me via Comments section.